The health centre serves not only Hastings but also the surrounding villages. It has a catchment area of about 20,000, double what it was built for. The centre has the status of BEMOC – providing emergency maternity and obstetric care, as well as general primary health care. Sierra Leone is at the bottom of the WHO’s table for neo-natal and infant mortality, with babies dying from malaria, dysentery, diarrhoea & dehydration and malnutrition. The Hastings health centre is led by a strong manager, Binta Bah, with the aid of a devoted team. Much of the good work they have done in recent years has been undermined by the Ebola epidemic, and the Link has been working hard to help the health centre staff make up lost ground. In recent years the Link has funded the building of an extension (using mainly local labour), a well & water tower, and a security wall. A sub-committee has scrounged and bought in quantities of equipment and medical supplies. The St Leonards Rotary Club has recently funded the rewiring of the centre, which was in a dangerous state. Even when we are given redundant medical supplies free here in the UK, it is expensive to ship them to Sierra Leone. 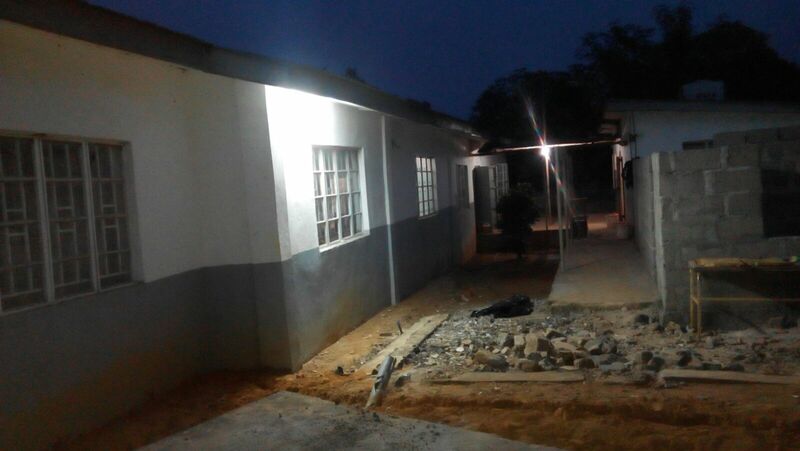 So we need every penny we can raise, in order to continue with refurbishing and supplying the health centre.